When starting a new exercise program, you may get sore. 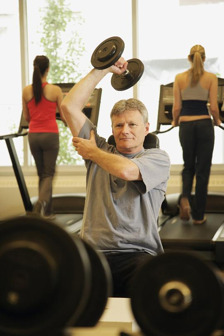 Muscle soreness comes from the breakdown of muscle fibers. But don’t let that drive you away from the corporate fitness center. Here are four good ways to ease the pain. Rest from lifting and go for a light walk. More than likely, you are sore from strength training or lifting weights. Your body may need a rest day from the weights, but go for a light walk to get some blood flow to the sore muscles. Sitting around could make the soreness worse. Take a hot bath. Soaking in a hot bath will help your circulation and soreness. Use foam rollers or massage. Rolling out your muscles on foam rollers will help to work the soreness out, although it may hurt a little at first, just like with massaging the muscles. Start out gently rubbing or rolling the muscles, and then as you work the soreness out you can target the muscles more aggressively. Stretch after you work out. Don’t skip the stretching component of fitness! Spend about 20 minutes stretching after your workouts. If you are just getting back into working out, always start out slow. If you start with long, intense workouts and then cannot move the next day due to such painful muscle soreness, you will be more likely to skip the next few days. Don’t skip days; just focus on areas of the body that are not sore. Next time you overdo it in the corporate fitness center, remember these tips for relieving your pain and keeping up your workouts. 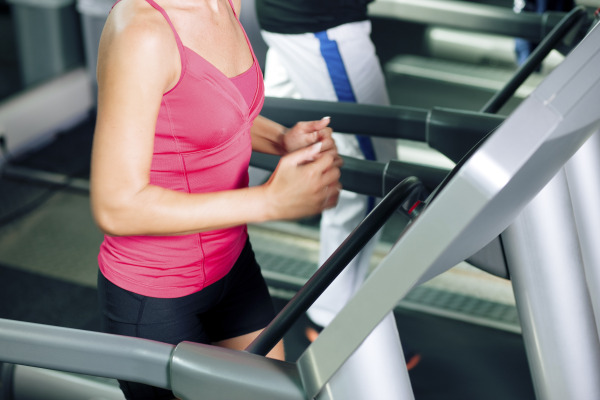 Running on the treadmill for several minutes each day might not show a lot of results, but adding in some strength training will get results faster. There are several different ways to strength train, and it doesn’t have to involve walking into an intimidating all-male weight room. You can use resistance bands, weight machines, free weights, kettlebells, or your own body weight. Schedule an appointment with your corporate wellness staff to figure out the best type of strength training for you. And don’t avoid your strength classes at your onsite corporate fitness center! What are the benefits of incorporating kettlebells into your workouts? Kettlebells have a comfortable, easy-to-use handle, which I feel is a little safer if you are swinging them around your head, although others may think because the weight is on the bottom, one slip of your grip could lead to an injury. Kettlebells allow you to get a greater range of motion, and force you to use more stabilizer muscles. 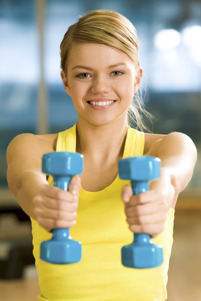 The more muscles you use, the more calories you burn! Performing a lot kettlebell exercises will help to strengthen your core as well. Core muscles play a major role in stabilizing your body. 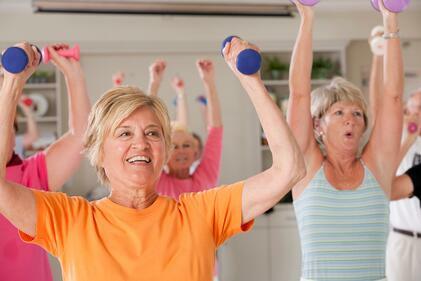 Working at a corporate fitness center, we teach a lot of classes and work with a fit population overall. Our participants like to be challenged using the kettlebells. They are good way to mix up workouts instead of always using traditional dumbbells. These fun-looking weighted balls with a handle are also easy to store and don’t take up a lot of room, which is good for group fitness classes. A squat kettlebell swing is one of my favorite exercises. This single exercise strengthens the lower body, core, and shoulders, and gets the heart rate up. What’s not to love? I’ve listed a few of my other favorite kettlebell exercises. Try them today!